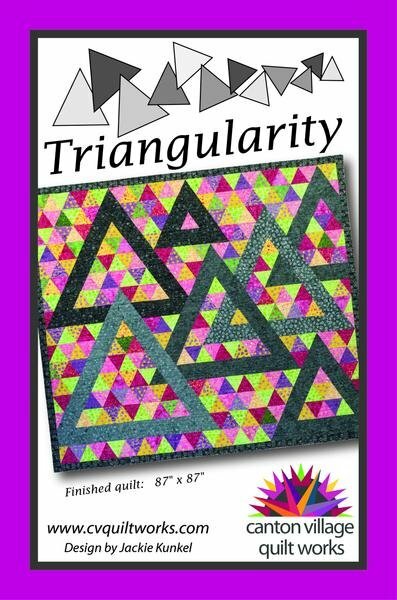 Create these wonderful secondary triangles in this quilt simply with a play on color! The darker color and layout makes them Pop right off the quilt! Using the Creative Grids 60 degree Triangle ruler makes it a breeze! Finished size 87" x 87"